If you have a chimney on your home and you don’t have it covered, you run the risk of getting everything from animals to debris inside, which can severely hamper the proper function of your chimney. As cooler weather is coming to George, it’s time to protect your Peachtree City roofing with a chimney cap. Here are some of the benefits of getting one installed by Peachtree City roofing contractors right away. Chimney caps are accessories made for roofing in Peachtree City GA that can be quickly and easily installed to protect against unwanted items inside the chimney. You can often choose from a basic chimney cover or something more customized to fit your home style with mesh around. Pests and animals – small animals such as squirrels, raccoons, and even snakes are known to climb into chimneys to get warm or find shelter, and then often have difficulty getting out. Eventually when they die they leave behind a foul-smelling carcass that’s stuck in your chimney and can be difficult and dangerous for you to extract. Birds may also build nests that clog up the flow of air through the chimney. Moisture – when rain gets in the chimney it can get inside the home and lead to damage on the ceilings and walls around your fireplace. Other weather – high winds can blow debris into the chimney, and frost or ice can fall inside, reducing energy efficiency and creating more work for your heating system. Like many home projects, you might be able to install your own chimney cap with some materials from a big box hardware store, but correct installation is critical to ensure you get all the benefits that you expect from this protective barrier. 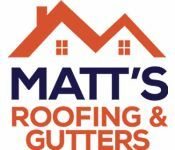 Professional roofers in Peachtree City GA will get it installed right and often provide satisfaction guarantees to ensure it keeps working for years to come.